Super Savings! 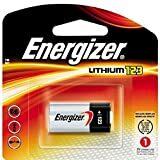 Up to 40% off on Battery Powered Toothbrushes at Smile With Me Clinic. Top brands include Hasbro, Arm & Hammer, PG, DC Comics, quip, Energizer, Triple Bristle, Deluxe Unique, Sonicare, Spinbrush, LuckyNV, Oral B, VIOlife, & Marvel. Hurry! Limited time offers. Offers valid only while supplies last. 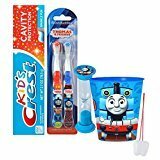 "Thomas The Train" Inspired 5pc Bright Smile Oral Hygiene Set! Thomas & Friends 2pk Soft Manual Toothbrush, Toothpaste, Brushing Timer & Mouthwash Rinse Cup! Plus Bonus "Remember To Brush" Visual Aid! Paw Patrol "Chase Inspired" 2pc. Bright Smile Oral Hygiene Set! 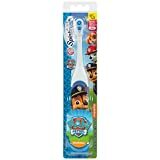 (1) Paw Patrol Turbo Power Spin Toothbrush Batteries Included Plus Paw Patrol Mouth Wash Rinse Cup! 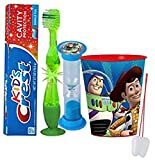 Toy Story "Buzz Lightyear" Inspired 4pc Bright Smile Oral Hygiene Set! Flashing Lights Toothbrush, Toothpaste, Brushing Timer & Mouthwash Rinse Cup! Plus Bonus "Remember To Brush" Visual Aid! 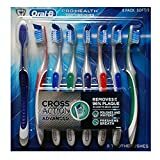 Transformers 3pc Bright Smile Oral Hygiene Bundle! Turbo Powered Toothbrush, Brushing Timer & Mouthwash Rinse Cup! Plus Dental Gift & Remember to Brush Visual Aid! The Little Mermiad Ariel 3pc Bright Smile Oral Hygiene Bundle! 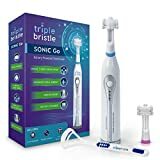 Turbo Powered Toothbrush, Brushing Timer & Mouthwash Rinse Cup! Plus Dental Gift & Remember to Brush Visual Aid! Batman Super Hero 3pc Bright Smile Oral Hygiene Set! Batman Turbo Spin Toothbrush, Crest Kids Toothpaste & 2 Minute Brushing Timer! Plus Bonus 'Remember To Brush" Visual Aid! 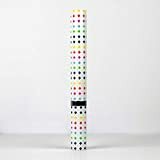 View more products in Toothbrushes.